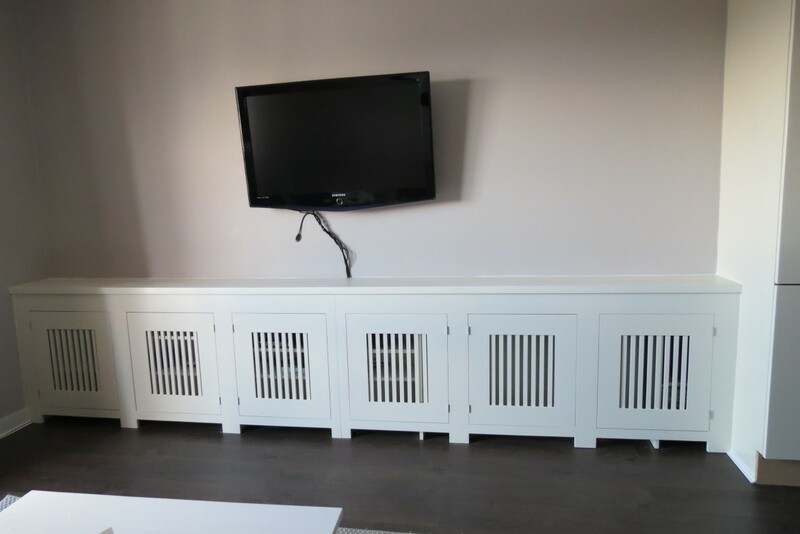 AD Woodcraft specialise in building custom radiator covers and cabinets for all types of environments. Cover those unsightly radiators with sleek cabinets in many styles and colours to compliment your home’s decor. Our radiator covers are made to fit around any radiator, big or small, short or tall. We offer painted in-frame radiator covers plus PVC radiator cabinets. Our cabinets can also be extended into entertainment units or shelving units. Do you hate the look of your radiators? Are they unattractive and ruining the ambience of your favourite rooms? It is annoying when you have carefully chosen the furniture and colour schemes of your home, only to be left with ugly radiators. 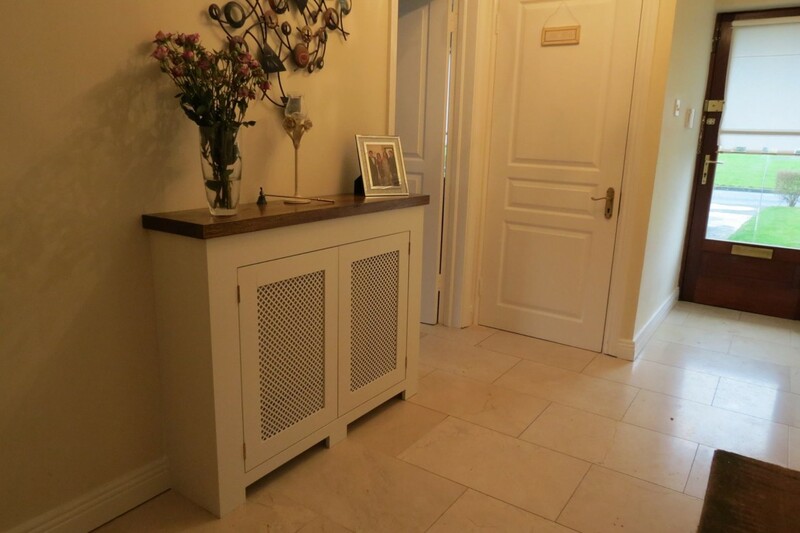 If you would like radiator cabinets in Dublin, then it’s time to call us at AD Woodcraft on 00 353 85 127 0371 to beautify your home once again. We specialise in quality carpentry, and can custom make cabinets for you at a very reasonable price. • They can be very hot to the touch, particularly if they are steam radiators, and small children can burn themselves quite badly on their surface. • An attractive cover can reclaim dead space. You can use the top as a shelf for whatever you would like to display or store. • It can help to cover up noises, particularly banging noises as the metal expands or contracts, or water swirling around inside. • There can be a worry that a cabinet will hamper the heat given off into the room, but if it is properly designed, then the heat transfer is not interfered with at all. This is another reason why it is important to get professionals like us to fit it, as doing it yourself may result in heat being wasted. We can also cater to commercial customers as well as the general public, as we are experienced in shop-fitting and supplying office furniture. We also have expertise in creating furniture for kitchens, wardrobes and bookcases. 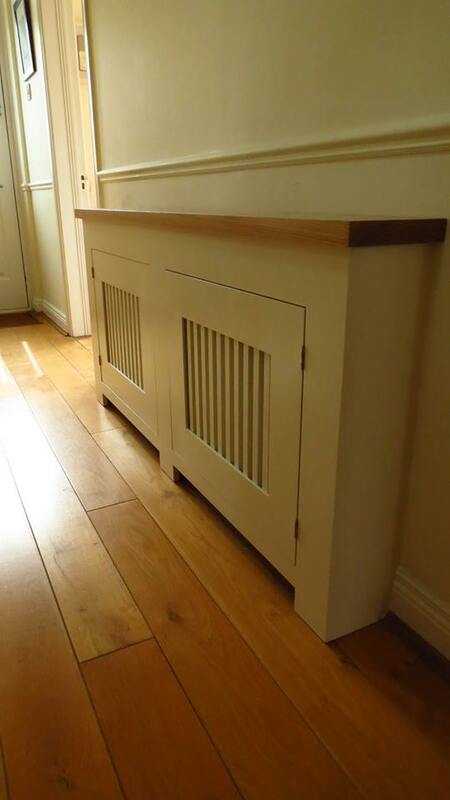 If you need your radiators hidden from view with beautifully crafted radiator cabinets in Dublin, or if you have any bespoke carpentry needs around your home or business, call us, AD Woodcraft, now on 00 353 85 127 0371. We can’t wait to show you how we can help you.